I have previously written here about Roddy Frame’s time with Aztec Camera. A prodigiously gifted teenager, he formed that band at the age of only sixteen in 1980. Throughout its existence, he remained the key figure in the group as the front man, chief songwriter and final arbiter of its musical direction. Over time, the name became shorthand for Frame and whichever group of session musicians he happened to be playing with at the time. This meant that when he retired the Aztec Camera name, after the relative commercial failure of Frestonia in 1995, the change had nothing like the effect which, say, the breaking up of the Beatles (particularly of the song-writing partnership of Lennon and McCartney) or of the Smiths (particularly the alliance between Morrissey and Marr) had on the future course of those artists’ careers. Indeed, Frame could possibly have continued on his musical life in almost exactly the same way as he had up to that point. However, from the beginnings of his solo career, it was clear that he had no intention of returning to the treadmill which he had been on in his years with Aztec Camera. There would be no return to the routine of regular albums, constant touring and inane promotions which were the lot of the type of ‘chart’ band that they had been. From then on, Frame would record very sparingly; he has made only four studio albums and two – three counting the limited release Live At The Buxton Opera House – live albums since then. He also rarely gives interviews and plays gigs only intermittently. 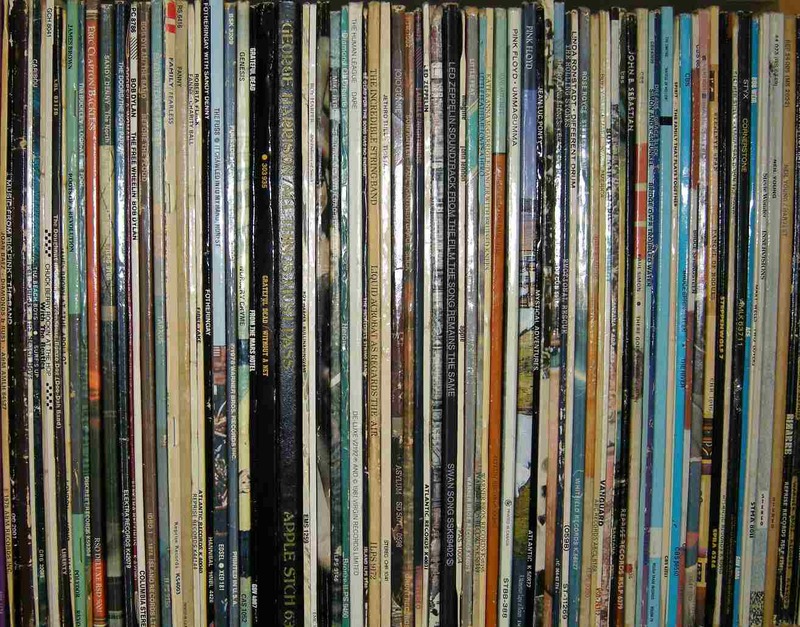 The material on his records also became much more pared-back. While continuing to be very well-produced, the commercial sheen/slickness which had been such a feature of Aztec Camera’s mid-career records was notably absent. Also Frame’s lyrics became much more directly personal in their tone. He also delivered his solo songs with an apparently hard-won wisdom, which seemed to owe a good deal to some of the difficulties that he had experienced in his own personal life up to that point. In this sense, they also reflected the fact that he had done most of his “growing up in public”, to use Lou Reed’s phrase. At the same time, the songs also reflected a strong sense of resilience and a determination to hang on to a perhaps weathered version of the positivity which had always been a key feature of the Postcard Records philosophy. Broadly speaking, his solo songs were also generally far more directly folk/folk rock influenced than his previous work had been. 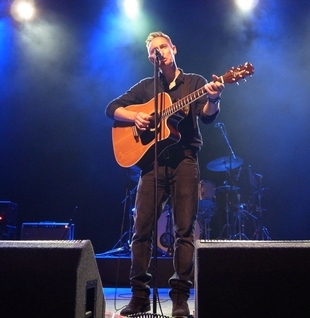 Roddy Frame’s first solo record, the excellent The North Star, was released in 1998, three years after Frestonia had appeared. Like all of his albums since then, the songs on it were very finely crafted and beautifully played by a backing group which included his friends, Clare Kenny on bass (she has also played with Edwyn Collins) and Mark Edwards on keyboards. Throughout his solo career, Frame consistently displayed his skill at dissecting the different phases in romantic relationships generally – through songs like Bigger Brighter Better (see above clip) on The North Star and Abloom on Surf, which deal with the heady early stage, on to songs like High Class Music on Surf and Day Of Reckoning on Western Skies which portray the contented middle phase. Then in many of his solo songs, he traces the gradual disillusionment which tends to set in on both sides in any long-term relationship and the role this plays in bringing about their eventual breakup. Indeed, a strong air of romanticism (if at times of a rather bruised variety) permeates much of Frame’s best work and this distinguishes it from that of many of his contemporaries. In almost all of his ‘love’ songs, Frame also broadens the focus to explore what the Australian writer, Henry Handel Richardson, described as the ‘getting of wisdom’. In this respect, their lyrics also explore Frame’s attempts to learn through adversity and to use it to develop a greater sense of maturity and a keener empathy with others. And so to the songs: Here Comes The Ocean, my first pick from The North Star, has a lovely rolling feel to it and an enigmatic lyric which seems to touch on some of the themes discussed above. Another personal favourite of mine from the album is the beautiful Dylan-esque ballad, Hymn To Grace, which came very close to inclusion. A live version of it can be seen here. Roddy Frame’s next album, Surf, is his solo masterpiece and his finest record since the classic Aztec Camera debut album, High Land, Hard Rain. In an excellent piece on Surf (which can be read here), Philip Cummins compares it with Paul Simon’s Hearts And Bones and Bruce Springsteen’s Tunnel Of Love and claims that all three albums explore “themes of love, heartbreak and identity… skilfully and masterfully”. He also cites Paul Simon as a key influence on the album’s meticulous craftsmanship. While I agree with this suggestion, I also hear other key influences at work in it. These would include other great singer/songwriters of the 1960s/ 70s like Bob Dylan, Joni Mitchell, Jerry Jeff Walker and Neil Young. The other influences I hear on the record include the great tin pan alley craftsmen songwriters like Gershwin, Richard Rodgers, Cole Porter and Irving Berlin. In many respects, Surf can be seen as the most successful and sustained contemporary attempt to recreate an atmosphere similar to that on Frank Sinatra’s great ‘torch’ albums of the 1950s like In The Wee Small Hours, Where Are You? and Only The Lonely. Like those albums, the songs on Surf are very carefully put together to form a clear narrative and a sustained whole. Unlike them, however, Surf is an extremely pared-back album (just Frame and an acoustic guitar), where the arrangements remain relatively simple – by his standards – throughout. In consequence, it’s an extremely intimate album, where his skills as a guitarist and fine singer are very much to the fore. If the CD lacks the kind of blistering guitar fireworks that were a hallmark of Frame’s early work with Aztec Camera, this loss is more than made up for by the beautifully understated and subtle approach he displays in his playing right through the album. In a sense, the skilfully designed coherence of the album makes choosing individual songs from it very difficult. In the end, my choice was based on selecting those tracks which gave a good representation of the qualities of the record as a whole. As Philip Cummins has argued, one of the great strengths of the record is the way in which London itself becomes a key character in it. This serves two related purposes – to give the album a clear sense of place and a sense of life going on as normal for other people while the singer is trapped in the memory of a failed relationship. This idea of life remaining as normal even for his ex-partner is also subtly suggested by the line – are the trees turning red where you are today – in the same song. My last selection from Surf, Turning The World Around, is another superbly constructed song (with a subtle nod to Bob Dylan’s To Ramona) which centres on the writer’s attempts to maintain some hold on the idea of transcendence while accepting the reality of the end of an intense relationship. Here’s a fine live performance of the song. It’s probably worth pointing out here that, like all great albums, Surf is best listened to from start to finish and that all of the songs on it are superb in their own way. A few other highlights worth pointing out include Frame’s wonderfully dextrous and intricate guitar accompaniment on High Class Music and the fine ballad Tough which opens with the brilliant lines, slowly she dissolves me/ in waves of her and leaves us blurred. Unlike Surf, Roddy Frame’s next album, Western Skies, had a strongly ‘American’ atmosphere. This is established through the stark almost desert-feel of the opening title track, Western Skies, which I have included. My other choice from the album, Dry Land provides a perfect vehicle for some typically accomplished guitar playing by Frame. Even by his standards, my next pick, Your Smile Has Stopped The Hands Of Time, is a remarkably good jazz-flavoured ballad. While Frame wrote it at around the same time as he wrote the songs on Surf, it was not released in Europe and the USA until 2004 when it appeared on the Marina records compilation, Ave Marina. It had also been included as a bonus track on the Japanese vinyl edition of Surf. However, I have chosen the excellent version on Live At Ronnie Scott’s (2005) which, in my opinion, ranks as the definitive one. Seven Dials, Frame’s most recent album, was recorded at his friend Edwyn Collins’ studio, West Heath Yard in London in 2014. The album came about after Collins’ wife, Grace Maxwell, asked him if he would like to record there. For the previous seven years, Frame had been playing with Collins on and off, following the latter’s remarkable recovery from the near-fatal two strokes he had in 2005 (a clip of the two men performing together in 2012 can be seen here). Like all of Frame’s previous solo albums, Seven Dials was yet another collection of beautifully put-together songs impeccably performed by a master craftsman. The backing musicians (Mark Edwards on keyboards, Adrian Meehan on drums, Carwyn Ellis on bass) were also keenly attuned to Frame’s musical vision. Postcard is my first selection from Seven Dials, a finely-judged tribute to Californian pop which includes a perhaps unexpected nod to Fleetwood Mac’s Rumours. English Garden, my other choice, is one of Frame’s most beautiful ‘break-up songs’ with a beautifully judged minimalist musical accompaniment. It also features one of his finest lyrics (Used to be mine, I played while she sang/ Said someday we’d drive to Daymer Bay and walk along the sand/ Now in every room a different sorrow hangs/ And the past is like another place, it’s a foreign land). On another day, I could well have chosen the Dylan-esque folk ballad, Forty Days Of Rain (see clip below), or the superb tribute to the filmmaker John Hughes, White Pony, for inclusion – but these are today’s selections. 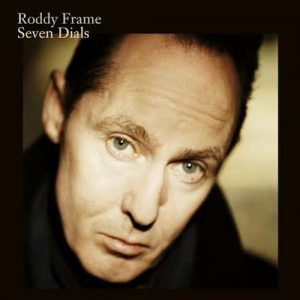 To conclude, Seven Dials provided yet more proof that Roddy Frame is one of the very best songwriters around today. If you like literate, intelligent, meticulously crafted rock/pop music performed by a musician of the highest calibre then, if you are not listening to him already, you should begin doing so immediately. Andrew Shields is a freelance historian, who grew up in the West of Ireland and currently lives in Sydney, Australia. Along with an interest in history, politics and literature, his other principal occupations are listening to and reading about the music of Bob Dylan and, in more recent years, immersing himself in the often brilliant and unduly neglected music of Phil Ochs …. Really enjoyed digging into Roddy’s back catalogue. And Queen aren’t the most obviously influential of bands, so to take an ostensibly different approach and use some of the techniques is pretty clever.